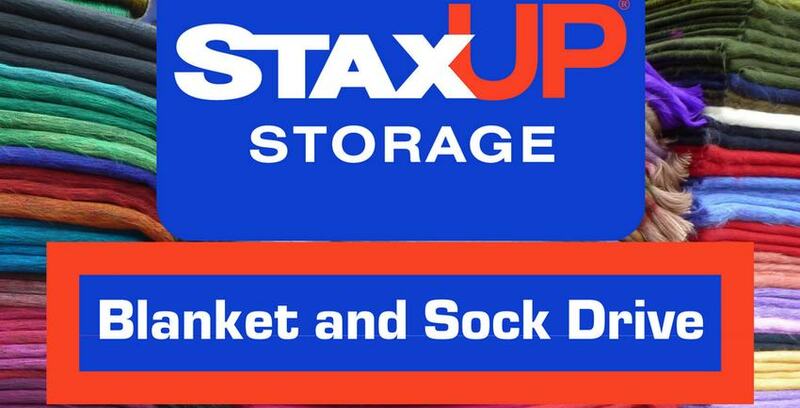 StaxUP Storage is partnering with Diablo Mini Storage to raise blanket and sock donations for Tender Loving Mercy. In the self storage business, we know that every so often life throws curveballs that are hard to overcome. During these difficult times, it really makes a difference when someone reaches out with a helping hand. That’s why StaxUP Storage in San Marcos, CA and Diablo Mini Storage in Escondido, CA are partnering up with the team at Tender Loving Mercy (TLM) to help residents in North County get back on their feet after experiencing difficulties with substance abuse..
TLM accepts donations year round in the form of household goods, bedding, small appliances, beds and other small apartment furnishings. In addition those items, renters who are thinking about pitching items that meet minimum quality standards will be encouraged to donate. Cash and clothing donations will not be accept at either self storage facility, but can be taken directly to TLM. The teams at StaxUP and Diablo hope to raise 350 donations this winter of mostly blankets and socks for TLM. If you’re interested in donating to the blanket and sock drive, you can bring donations to either location listed below.